Duke Energy hired Fluidic Energy (now acquired by NantEnergy) as general contractor and Sky Renewable Energy and Industrial Solar Consulting as subcontractors for the project. The communications tower is now powered by a 10-kW solar array paired with a Fluidic Energy 95-kWh zinc-air battery that was installed in Spring 2017. The solar array is composed of 36 SolarWorld panels, mounted with Milspec Earth Anchors helical screws next to the communications tower. The 350-W modules face south at a 30° tilt. The array is equipped with a GE inverter, a Fluidic Energy Data Acquisition System and a Fluidic Energy hybrid battery stack. 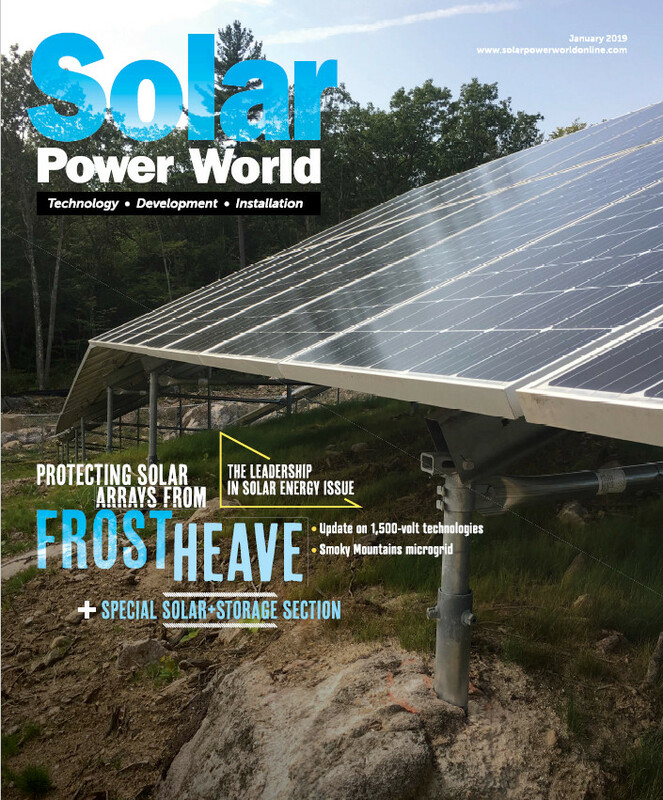 Installing a microgrid in this remote location posed its own challenges. The microgrid installers tried to create minimal disturbances during construction to preserve the natural wilderness experience of backcountry camping in the area. “We have very detailed environmental studies to make sure that we’re not negatively impacting the land,” Abdelrazek said. Supplies for the microgrid were flown in by helicopter. Power lines were removed in November 2018, and the land is now left to return to a natural state.